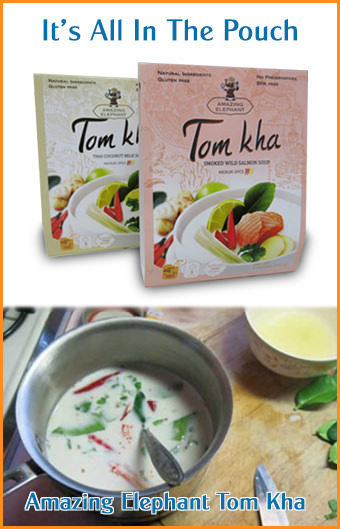 If you love Thai food, then you really will appreciate this Namprik Pla. It's just so good, full of rich flavor, like a natural msg that sends your taste buds racing. The fresh kaffir lime leaves boost the aroma and give it a splendid aroma. We researched the best way to make it, and created it with our grandma from Thailand who is well known for making great things like this. Kept in a container, this will last for months also. Make a batch and see how good it is! Soak chiles in water until soft, drain and squeeze any water off then transfer to mortar. Pound it with salt until fine. Add shallots and garlic, pound until fine. Add in dried shrimps, continue pounding until fine Add steamed fish, keep pounding until this becomes a paste. Heat oil in a wok on low heat, then fry the chili paste. Season with fish sauce and palm sugar, stir fry until dry about 15-20 minutes. During the last 5 minutes of cooking, add torn lime leaves into the paste. Transfer to serving dish. Serve with fresh vegetables as you like, hard boiled eggs and steamed jasmine rice. Enjoy! I wanna try making it.